ArmorClad 100% solids Master Kit covers up to 600 sq ft. ArmorClad uses our patented ‘Adaptive Molecular Technology’ which makes the ArmorClad epoxy adapt to and adhere with amazing strength to virtually any properly prepared surface. 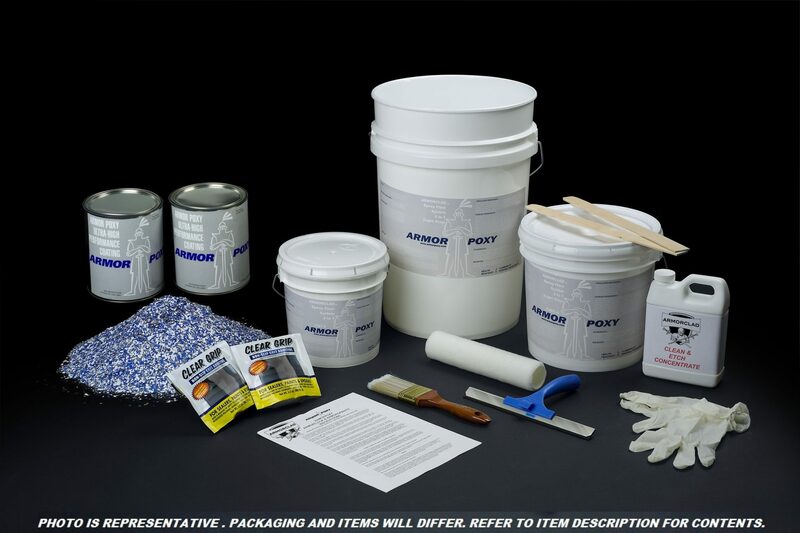 Kit includes: ArmorEtch etching solution, 100% solids (the finest available) 2 part epoxy, UltraGlaze 1-part industrial-grade non-yellowing clear topcoat, Clear Grip Non Skid Additive, decorative epoxy flecks, rubber gloves, industrial-type mechanical mixer (for your drill), mixing sticks, application squeegee, roller pad and brush (for corners and edges). 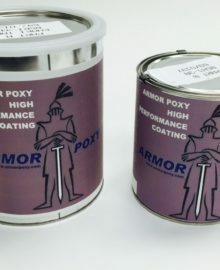 Please note that porous floors or thicker applications of ArmorClad could yield less coverage. Base colors Red, white and beige require 2 coats which will be automatically included and will charge out for additional fee ($160.00 for red, $99.95 for white & beige). Chose Base color only in drop down menu. Add Fleck colors (3) in “Order Notes” section on Checkout Page. Use attached fleck color chart (“DOWNLOAD COLORS” – printable PDF version). Additional Base Colors – Safety Yellow, Orange also available. Please contact us for information and pricing.